Available in black & natural; Hilltop Products' 2.5mm x 100mm Nylon PA66 cable ties are in stock and ready for dispatch. Now available in bulk! Various Pack Sizes. Order in multiples of 100pcs up to the next price break at 300pcs. 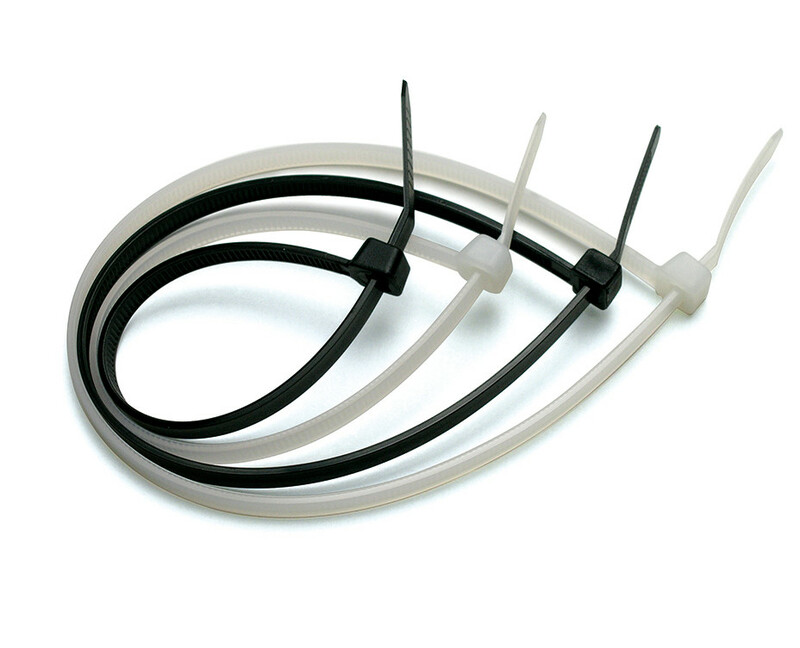 These cable ties are ideal for identifying and bundling cables, hoses and pipes along with many more applications. They can be tightened by hand or by using one of our tensioning tools. UV Weather Resistant: this gives you a high-quality cable tie you can rely on. Black Cable Ties are recommended for general outdoor use and have highly durable resistance to Ultra Violet Light.